Who Needs a Residential Locksmith in Newtown Square? If you’re currently locked out of the house, then you clearly need fast help from an experienced house locksmith. However, even if you’re pretty certain that you’ll never find yourself locked out in the cold, there are still plenty of scenarios in which you’ll benefit from having a reliable home locksmith on speed dial. We can change all your residential locks and install new ones including mortise locks like the one shown here. If you’ve recently hired contractors to complete a large renovation, then it’s likely that you’ve had a lot of people coming into and out of your home. You may have even temporarily provided keys to contractors to allow them access to your home while you were at work. During that time, it’s possible that the security of your home was compromised, and copies of your key could have been made without your knowledge. Changing your locks is a simple, inexpensive way to ensure that you are in control over who has access to your home. Before you move a single box into your new home, it’s imperative that you change the locks. Once again, there may be many keys for your home in circulation, and lock rekeying is necessary to ensure that only your household members can gain entry into your home. This can also be a great time to upgrade your locks to digital door locks or high-security locks. At the very least, make sure your home has a deadbolt and a doorknob installed on every exterior door. Even top security products like Schlage locks break down over time. Exterior door locks are exposed to the elements season after season. This, combined with the hundreds or even thousands of time the lock is operated every year, can cause the lock to begin failing. Over time, the key will wear down, and eventually, it will not work the lock. The key will be difficult to turn or feel ‘clicky’ in the lock. Sometimes a new key is all that’s necessary to fix the issue. Other times, a new deadbolt lock may be needed or even a squirt of lubricant. Security technology has come far in the last couple of decades. If your locks are original to the home, then they’re likely providing very limited protection compared to what newer deadlocks can give. 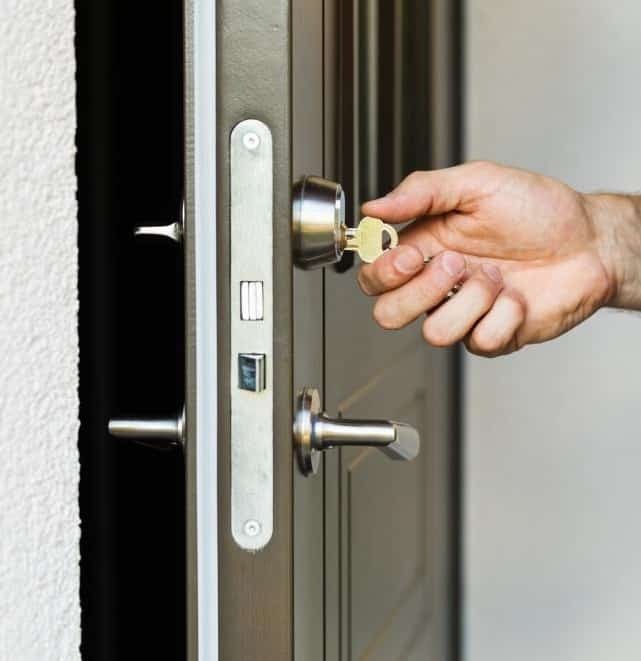 As a residential locksmith, we can help you understand the latest in security technology and choose the lock system that is best for your needs and budget. If you were the victim of a home invasion, then among the first things you should do is change your locks. Even if your home was entered by force through a window or other point of access, the invader may have had an opportunity to take or create a copy of your keys. A home locksmith can rekey locks as well as help you ensure that you are using the right types of locks for your needs. We are also able to repair your door frame and reinforce your door frame. At Lightning Locksmith, we do more than unlock doors; we provide a full range of locksmith services for homeowners. We are a local mobile locksmith service that serves Delaware County, including Wayne, Brookhaven, Newtown Square, and the surrounding area. We are a certified, insured and registered locksmith, so you can trust that you’re getting exceptional service and honest pricing. Contact us today for help or to learn more about our services.